Comedy Masala is A super hit Comedy show with comedians from the film industry with different competition segments.Artists are Nobi, Nelson, Ullas etc. In this show talented fresher’s also showcase their wonderful performance. Audience participation is another highlight of this show. Aswathy is a Radio Jockey (RJ), Video Jockey and anchor. Aswathy rose to popularity anchoring ‘Comedy Super Nite’ aired in Flowers TV will anchor the show. Amrita tv launching 4 new show’s this week, we have already posted about the serial kumara sambhavam here. it’s premiering today at 7.00 p.m and Amrita planning 250 episodes of the same. it will be a different experience for malayalaee mini screen viewers. this devotional serial is made up with visual effects, big budget etc. popular mini screen stars appearing in the serial. every monday to friday at 7.00 p.m to 7.30 p.m is the telecast time of this malayalam mythological serial. it’s based on the film on same title released 1969. Amrita tv already aired super hit malayalam devotional serials. Njananu sthree show on amrita tv, airing every saturday at 8.00 P.m is another latest program on the channel. popular film actress Muthumani is anchoring the show Njan aanu sthree. 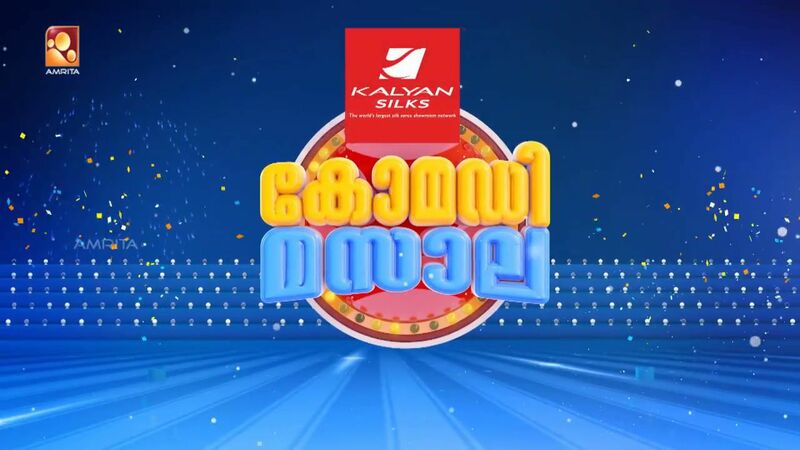 Unarunna keralam with Major ravi is another latest show on the channel. it will air every sunday at 8.00 P.M on Amrita television. Amrita tv airing better performance in trp rating charts through these shows. Kumara Sambhavam serial, comedy mazala malayalam comedy show, njananu sthree with actress muthumani, Unarunna kerala with Major ravi launching from this week. Stay tuned here for more updates about the channel.